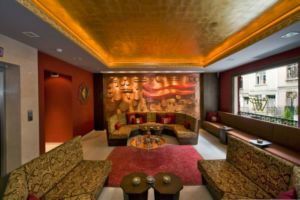 FERMAN Hotel is a new s. class boutique hotel at the central of the historical peninsula ( Sultanahmet ) Which commenced operation this year. The property has 24 tastefully furnished rooms in combination of the ottoman and modern style with the all facilities and amenities. 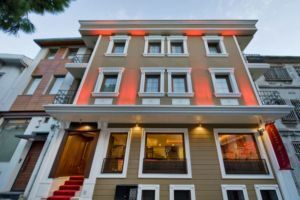 The Ferman Hotel is located with in walking distance to all historical sights such as St. Sophia, Blue Mosque, Grand Covered Bazaar, Cistern, Topkapı Palace and the rest of them because we are at the heart of the Sultanahmet Peninsula. 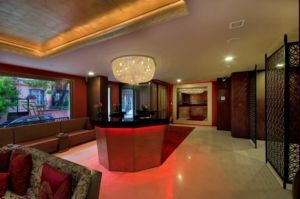 All rooms are equipped with electronic room key locks, air conditioning, minibar, satelite tv channel, 82 inc LCD tv, smoke dedector, safe in the rooms, direct dial telephoneat the room and bathroom, wireless internet accsess, private bathroom with shower or tube. Plus 24 hours room service. The rooms has sultanahmet view or marmara sea view Finaly the ferman hotels room has designed for the client's comforts. The Ataturk International Airport is 17 minutes away by car. 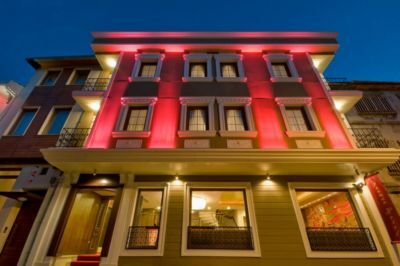 Ferman Hotel is conveniently located for guests wishes to explore the old city Istanbul, Sultanahmet. The wonders of three empires surrounds it. Pealese contact reception desk for the reservation of the sauna and massage. In order to reach the hotel from the airport, take Yesilköy direction and after about 3 kilometers, follow Sirkeci direction. Drive 18-20 kilometers straight and turn left from the traffic lights where you will see sign for Sultanahmet. Follow signs for Sultanahmet. When you come to Küçük Ayasofya Street, go on following Sultanahmet signs. You will be in Torun Street. Approximately 300 meter later, turn right for Mimar Mehmet Aga Street. Turn right from the end of Mimar Mehmet Aga Street. 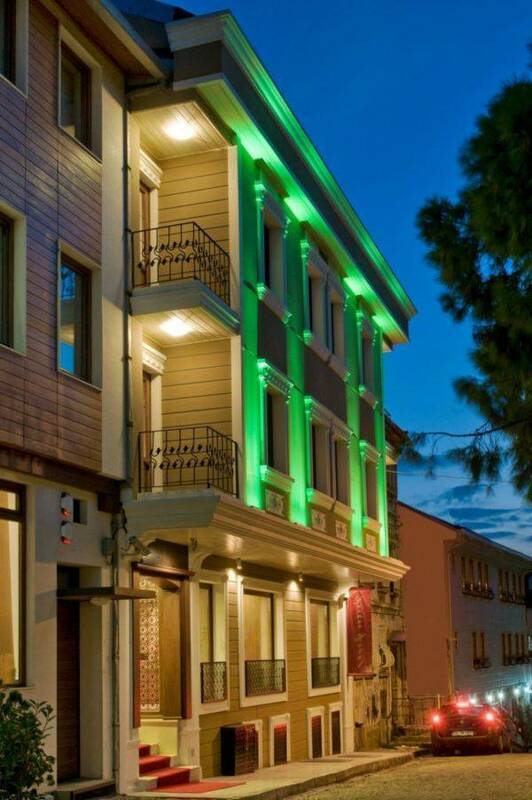 You are in the Amiral Tafdil Street and Ferman Hotel is located on the left. Ferman’s Room: The Ferman’s rooms are simple but charming The privilege of balconies make the room more attractive. They are double or twin-bedded The room has equiped LCD tv, satellite channel, air conditioning Minibar, Safe deposit box, direct phone, electronic room key sistem, smoke dedector, private bathroom with shower or tub and on the bathroom hair-dryer, phone. For single or double occupancy. Sultan’s Room : The Sultan’s room are looks directly Sultanahmet Mosque and St. Sophia namely The atmosphere of these pretty rooms make the feel good luck as the meaning. The rooms at are a graceful blend of past and present, designed in the Ottoman style yet offering all the modern amenities. They are double or twin-bedded The room has equiped LCD tv, satellite channel, air conditioning Minibar, Safe deposit box, direct phone, electronic room key sistem, smoke dedector, private bathroom with shower or tub and on the bathroom hair-dryer, phone. These rooms type have residential district in it one or two chair, one sofa bed Which can get extra bed and trestle except twin beded room. At the corners of them has small balcony. For single or double occupancy. Ocean’s Room : Ocean’s room are looks directly Marmara Sea, Princes Islands, Asian side namely you will fascinate from the view of the Marmara. These rooms are bigger then the other room type. The rooms at are a graceful blend of past and present, designed in the Ottoman style yet offering all the modern amenities. They are double or twin-bedded The room has equiped LCD tv, satellite channel, air conditioning Minibar, Safe deposit box, direct phone, electronic room key sistem, smoke dedector, private bathroom with shower or tub and on the bathroom hair-dryer, phone. These rooms type have residential district in it sone or two chair, one sofa bed can get extra sofa bed and trestle except twin beded room. At the corners of them has small balcony. For single or double occupancy. Junior Suit: Junior room are looks directly Marmara Sea, Princes Islands, Asian side namely you will fascinate from the view of the Marmara. These rooms are bigger then the other room type. The rooms at are a graceful blend of past and present, designed in the Ottoman style yet offering all the modern amenities. 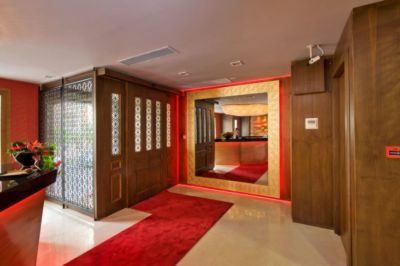 They are double or twin-bedded The room has equiped LCD tv, satellite channel, air conditioning Minibar, Safe deposit box, direct phone, electronic room key sistem, smoke dedector, private bathroom with shower or tub and on the bathroom hair-dryer, phone. These rooms type have residential district in it sone or two chair, one sofa bed can get extra sofa bed and trestle except twin beded room. At the corners of them has small balcony. For single or double occupancy. King Room ( Suit Room ): King Rooms are at the top of building and biggest room at the Ferman Hotel. The privilege of balconies make the room more attractive. You can relieve yourself from daily stresses while you are taking your drink on the balcony. The view of the directly Marmara Sea, Princes Islands, Asian side and the Bosphorus. The rooms at are a graceful blend of past and present, designed in the Ottoman style yet offering all the modern amenities. They are double ( kingsize bed) The room has equiped LCD tv, satellite channel, air conditioning Minibar, Safe deposit box, direct phone, electronic room key sistem, smoke dedector, private bathroom with shower or tub and on the bathroom hair-dryer, phone. These rooms type have residential district in it sone or two chair, one sofa bed can get extra sofa bed and trestle For single or double occupancy. FERMAN Hotel is a new s. class boutique hotel at the central of the historical peninsula ( Sultanahmet ) Which commenced operation this year. The property has 24 tastefully furnished rooms in combination of the ottoman and modern style with the all facilities and amenities. The Ferman Hotel is located with in walking distance to all historical sights such as St. Sophia, Blue Mosque, Grand Covered Bazaar, Cistern, Topkapı Palace and the rest of them because we are at the heart of the Sultanahmet Peninsula. We offering superior comfort and quality; all bedrooms with en-suite bath, fitted overhead shower and hotel will have spacious and very well appointed public areas and will put a strong emphasis on food and drink. 	If cancelled up to 1 day before the date of arrival, no fee will be charged. 	If cancelled later or in case of no-show, the first night will be charged. 	All children are welcome. 	All children under 1 year stay free of charge when using existing bedding. 	All children under 2 years stay free of charge for cots. 	All older children or adults are charged EUR 20,00 per night and person for extra beds. 	Maximum capacity of extra beds/babycots in a room is 1. 	Service charge is included. 	City/tourist tax is included. 	Wireless internet is available in the general area , hotel rooms and is free of charge. This policy defines the breakfast and meal plan. 	Buffet breakfast is included in the room rate. 	Private parking is possible on site and costs EUR 5,00 per day. 	Pets are not allowed.